: Ascot 2:30, 7f Listed (1) "Chesham Stakes"
Alan Swinbank's development approach with 2yos has been covered here before and debuts runs are usually uncompetitive and places rare. With more runners in 2006 he had a much better STO (second time out) record than previously with 4 debut following successes. However, his two best 2yos (Valbenny & Stevie Gee) didn't win until their third go). After his first batch of debuts he has just started the STO runs with Rio Sabotini last yeasterday. However, the vibes and SP suggested that Merchant Of Dubai was a better one despite his midfield finish on debut while showing som inexperience. He runs in a small field here and with Unilateral and Wotashirtfull's form not as strong as it might appear. A surprise is quite possible given the newcomer from the Johnston yard is a half brother to Shamradal and by a good US sire. That stable has shown strong sign that it is just coming into it's better form with it's 2yos and we should be looking for better debuts over the next two weeks or so. Just behind Merchant Of Dubai on debut was the 50/1 chance Highland Homestead who is well drawn at Lingfield in a moderate 7f auction race and has reasonable each-way prospects. First season sire Van Nistelrooy has had two runners in Britain so far with debut wins for Strike The Deal (5th in the Norfolk Stakes this week STO) and Raymi Coya. 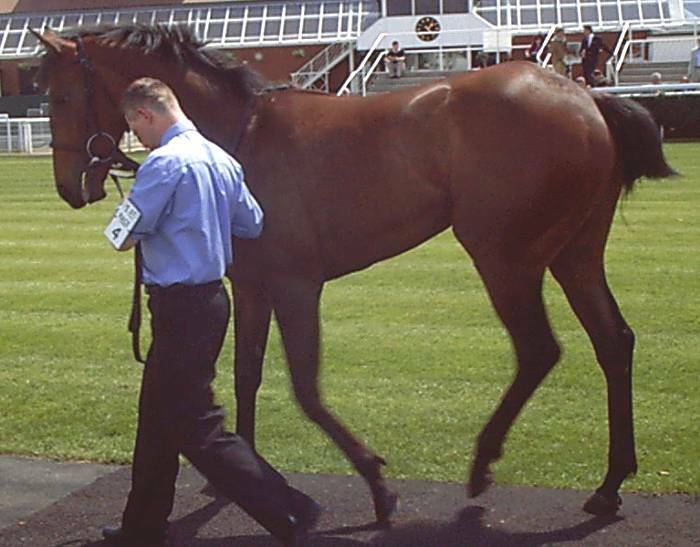 His third runner is the 90,000 guineas purchase Formation who runs 7f maiden at Newmarket. Those debut wins were at 5-6f although the sire only won at 7f as a 2yo. 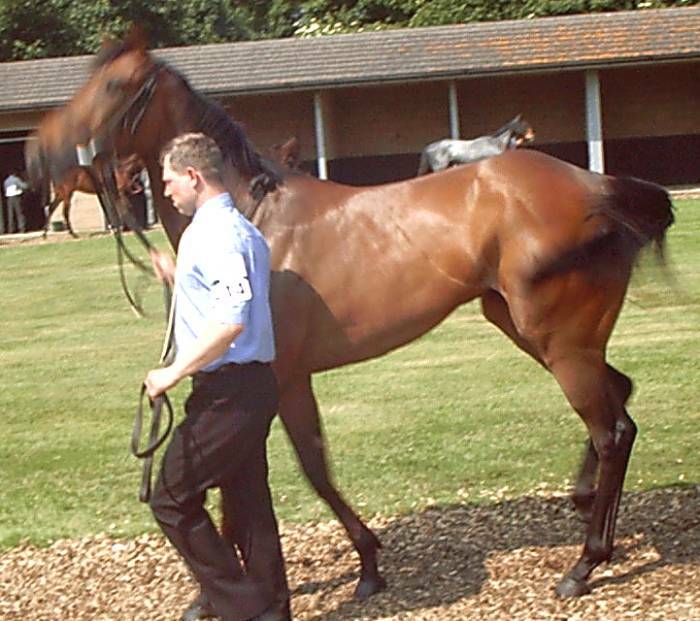 Formation is trained by Ed Dunlop who has not had a 2yo winner to date in 2007. He does get debut wins although at 7f+ they are usually in later season. He also runs the expensive breeze-up purchase Mujaadel for Hamdan Al Maktoum. The form of those with previous runs in the race is not that strong unless Al Muheer improves for the step up to 7f and a win for one of the newcomers quite likely. The Chesham Stakes is run over 7f and historically tries to provide a a target for more staying bred 2yos and a vague attempt to reverse the trend toward sprinter-miler pedigrees and more precocious 2yos. Until recently the qualification was that the 2yo's sire must have won over 12f during it's career but this was producing small fields so that the limit was brought down the 10f. The race occasionally produces a runner who progresses to better races but the bulk of the field will be below Listed level. 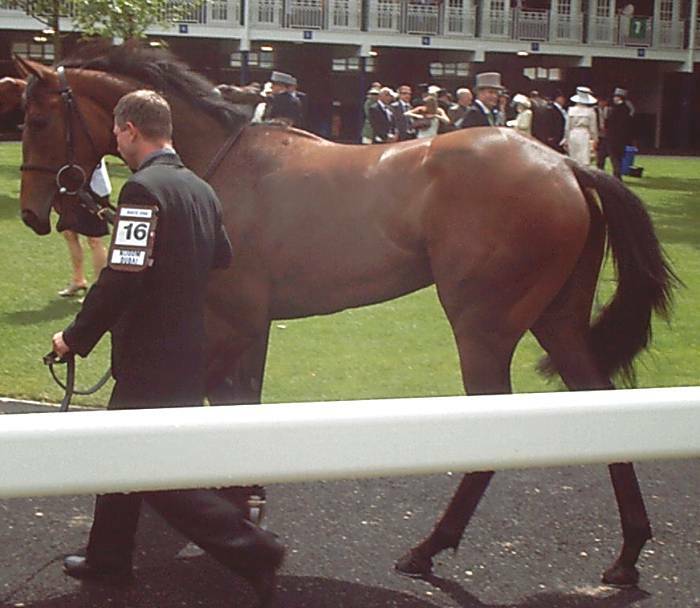 The Result from 2006 was typical in that sense with the Mark Johnston trained with the later winners from the race at maiden level and odd Listed and lower Group placings at best. The 2005 winner Championship Point won a 10f Listed race at the meeting yesterday at 25/1 and the placed horses from that edition have long been confined to middling handicap quality. This year's edition looks a competitive one with some hints of better class. There is no Class Ladder for this race because of the limited amount we have sen of the runners and also because of a strong Northern representation who have not been seen in paddock review. Of those seen Azeer for Peter Chapple-Hyam looked of good enough quality to compete for the places in this race at Windsor. He was given a notably quiet ride in that race never put into contention and did well to finish quite close in fourth. That was a tougher race than it looked at the time with Dresden Doll improving a lot from debut and the thrid Shifting Star touted as being useful (he won a moderate Newmarket maiden last evening). Azeer looks a good each-way prospect for the race although a little on the small side. Of the others Maze has a good profile with a solid debut win and running for a trainer with a very good record at the meeting in the last two seasons. Mark Johnston is another with a good record, especially in this race given the emphasis he places on buying staying pedigrees. The filly Double Attack put up a likeable performance at Hamilton on debut and kept on well having set a sound pace on easier going. The other best profile is for Ramona Chase who made a bold attempt to win over 5f FTO and steps up to 7f in one go. His pedigree says that is what he wants and his trainer also has a solid record at the meeting and had a fourth in the Albany yesterday. In summary a difficult race to have strong views on given the new distance for all the runners. On profile preference would be for Maze and Ramona Chase to compete for the win with Azeer as the best each-way alternative. So, Nijoom Dubai wins at 50/1 - how did that happen? She only cost 19,000 guineas at the sales but ended up being owned by Jaber Abdullah. This owner has long seemed to have a privileged position with the Channon yard and these cheaper purchases that end up with this owner contain more than the normal quota of 'unexpected improvers'. It is worth noting that although officially sold at the sales to Channon's main agent (Gill Richardson) she was actually bred by the trainer's Norman Court Stud so picking out precisely who owned what and when is a little tricky. 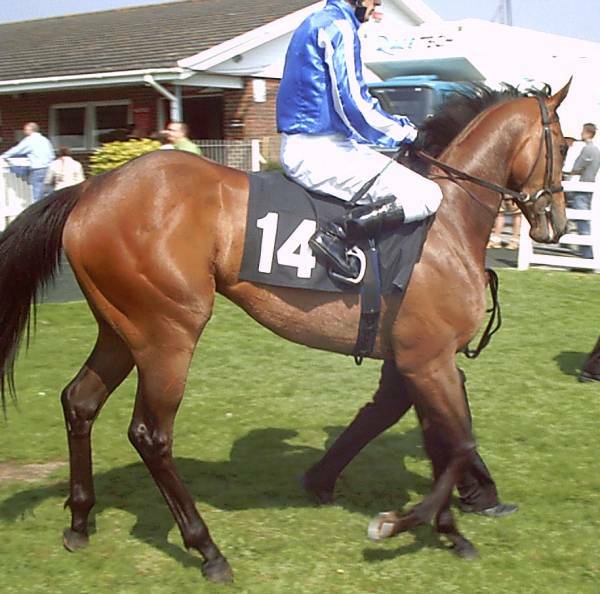 She made her debut at Newbury in a Conditions event which not unusual for the trainer/owner combination although not a sign of better class. However, she was well supported on the day and the vibe was that she was useful. Like a number of Channon 2yos this year (not a trait his 2yo always have) she was immature, prancing, sweaty and generally 'on her toes' on debut (we could cite Silver Guest, Legendary Guest, Hatta Fort, Aaim To Storm & Theebah as others). The race was run at a crawl and she did well enough to progress through to 2nd from 6th at halfway without looking better class. If you look at these two pictures of her from Newbury she looks like two different horses - [A] & [B]. In the first she is caught in mid prance and is holding herself taut with arched neck. She looks quite powerful and mature. In the second picture she looks more like the young, lightly built young lady the review notes suggest. Anyway, she goes to Folkestone for what looked an average auction event and again the betting told you that she was a goodish one who was expected to win. 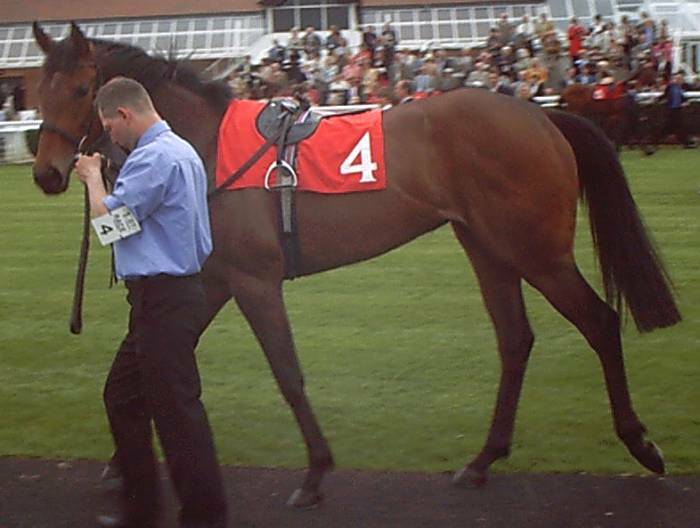 However, she looked dreadful in paddock review and B2yoR laid her on the day. Her behaviour had gone beyond the mildly wilful to being plain awkward. Sweating on it's own isn't a positive or negative and a sB2yoR just takes it as a sign to look for other factors that go with it. On this day her behaviour along witht he sweating said that she had 'lost it' and wasn't going to perform today. 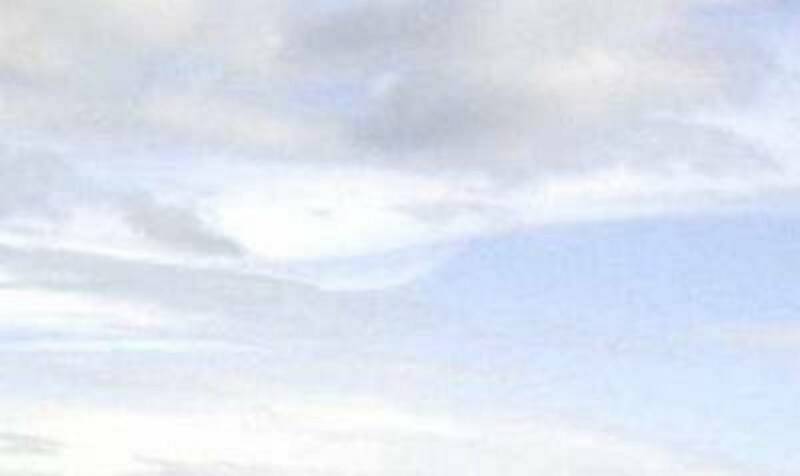 Again two pictures capture some of this - [A] & [B]. The first shows that her coat condition didn't look good and suggested she wasn't 'well in herself'. The blurriness is because of her behaviour. This was early on and she was throwing her head around, tail swishing, pulling away from the handler and generally giving the impression she wasn't happy. In the second picture she has settled down somewhat with jockey aboard and walking to the track and some of that arched neck, taut power has returned. However, her coat isn't right under the saddle and she still isn't really 'with us'. The Folkestone race was a bit stronger than it looked and it split into two groups but her performance was still below average. She should have been able to cope with Archived and Bosun Breese who ran on her side but made only a little late ground on them. Which brings us to Ascot and this is how she looked - [A]. Still lively and on her toes but in a good way this time and attending and responding to the (two) handlers and not fighting them. The coat has improved and the taut, arch necked, powerful way she holds herself has returned. She also looks less lightly made around her 'loins' (behind the saddle). So, in retrospect looking at the pictures she was ready for the day and we saw what she has presumably been showing hints of at home in Mr Channon's relatively unstressed pre-race preparation.